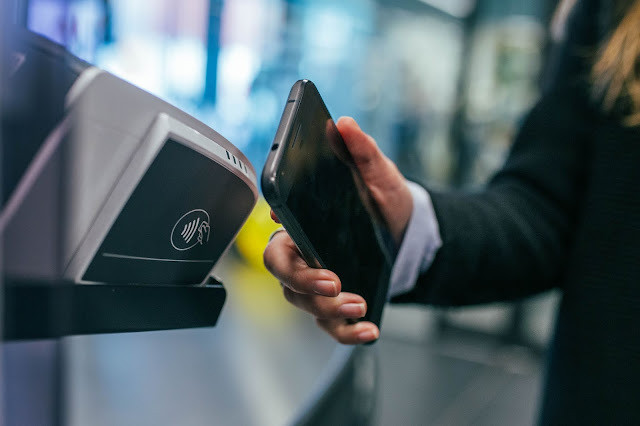 In the ever-changing world of tax and technology, we are constantly facing pressures to increase efficiencies and do things smarter. But what does this mean in a practical sense for our firms. What are some of the current practical issues that technology is solving, and what new ones is it creating? What demands and challenges does this pose and what is the impact on our clients… now and in the future? At the 34th National Convention in March, Robyn Jacobson, CTA, (TaxBanter) and Colin Walker, (Australian Taxation Office) look at the issues facing advisers in their session ‘Tax and Technology: Automation, the Digital Economy and Single Touch Payroll’. We spoke to Robyn about what to expect on the day. Education: Expand your network. Elevate your net worth. Enrol in education built by renowned tax leaders. Enrolments close 25 February. Robyn and Colin will look at some of the practical realities of STP and making it work in practice, including some tailored solutions for micro employers and closely held employers, before looking at automation, where they will compare what advisers have available today with what the future might look like. Robyn has a background in public practice, and has been a professional tax trainer for 22 years, the last eight spent with TaxBanter. A Chartered Tax Adviser with The Tax Institute, she is also a CA, FCPA, and Registered Tax Agent. She is currently a member of three of The Tax Institute’s committees; the Victorian Professional Development Committee, the Victorian Women in Tax Committee, where she serves as Co-Chair, and the Noosa Tax Intensive Organising Committee, as well as serving as the Chair of CPA Australia’s Victorian Public Practice Committee. Robyn regularly consults with Treasury and the ATO on technical issues and has been involved in ATO consultations on Single Touch Payroll for three years. “With all that going on, it is rare that I am not knee-deep in tax, but I enjoy getting out on the open road, taking 3,000 km road trips, driving to the Mornington Peninsula, the Dandenong Ranges and the Victorian High Country, enjoying great food/wine and shopping. I am fortunate that my professional role takes me to all corners of the country each year and that allows me to take in the sights as I go. I enjoy overseas travel when I can manage the time off, even for a quick hop out of the country” she said. Colin Walker joined the Australian Taxation Office in 1975. Until the early nineties his primary focus was on indirect taxes particularly sales tax. After a short period with Ernst and Young as a Senior Manager consulting in Sales Tax he worked for the International Monetary Fund providing in country technical assistance in Tax and Customs Policy and Administration in many overseas developing countries. In 2002 Colin returned to the ATO and as an Assistant Commissioner he has worked on the development and implementation of significant business and individual new legislation and is currently responsible for the relationship with tax practitioners in the tax and superannuation system. Robyn and Colin’s session is one of eight taking place in the Hot Topics stream at the Convention, which also features sessions on state taxes, the black economy, recent cases, GST and more. Find out more about these sessions and the rest of the program on our website. 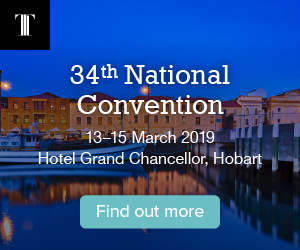 The 34th National Convention takes place 13-15 March 2019 in Hobart. Register before 1 February and save $200.